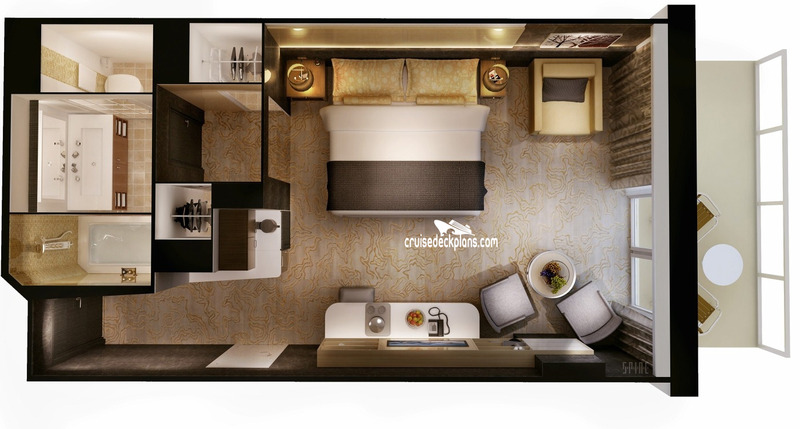 These are the typical floor plans for The Haven Courtyard Penthouse Staterooms. Actual room layout and decor might be different. Butler and concierge service is available. More Size Info: Balcony size ranges from 54 to 138 square feet. 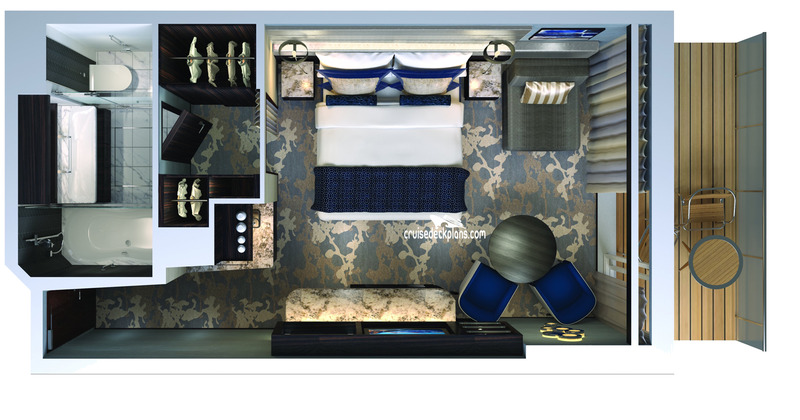 This is a The Haven Courtyard Penthouse Stateroom. There are 24 of these types of cabins on this ship. The typical cabin size is 270 sqft (25 m2). The typical balcony size is: 54 sqft (5 m2). These types of cabins can sleep up to 3 people. Balcony size ranges from 54 to 138 square feet.